Gentucca Bini. 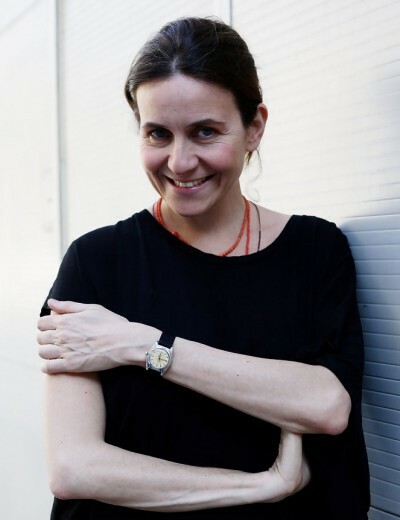 She is in fact a qualified architect who grew up in a fashion-oriented family, including a grand mother named Bruna Bini, a designer with her own atelier in via Montenapoleone in the 1960s, who worked with such artists as Fontana, Baj and Pomodoro. She has recently produced her own collection and is now designing for the Romeo Gigli brand name. Her shop and atelier are centrally located in via Pantano 17. Bini regularly brought a light-hearted, idiosyncratic touch to her designs for Gigli, with models regularly dancing and twirling down the catwalk and blowing kisses at the audience. Her designs were often loose-fitting, baggy and more arts student than her Milan competitors such as Dolce & Gabbana and Giorgio Armani.